La Gioiosa Prosecco DOCG Superiore is dry and fresh, with flavoursome sensations on the palate. Perfect for as an Aperitif and for fish dishes. 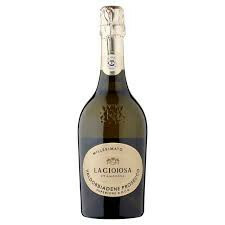 La Gioiosa Prosecco DOCG Superiore is fruity and flowery with hints of ripe golden apple. La Gioiosa Prosecco DOCG Superiore is dry and fresh, with flavoursome sensations on the palate. Perfet for as an Aperitif and for fish dishes. La Gioiosa Prosecco DOCG Superiore is fruity and flowery with hints of ripe golden apple.